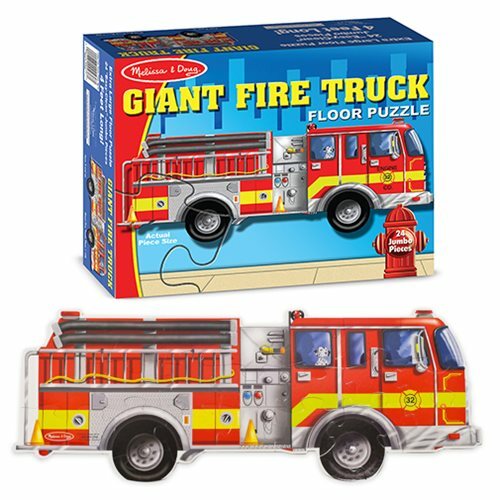 This fire truck-shaped puzzle is ready to go with only 24 cardboard pieces to complete assembly! Four feet long when assembled, the extra-thick cardboard pieces are 20% thicker than the competition's. Its easy-clean surface keeps puzzle looking new.